Wednesday, May 1, 2019, 3 – 4:30 p.m. 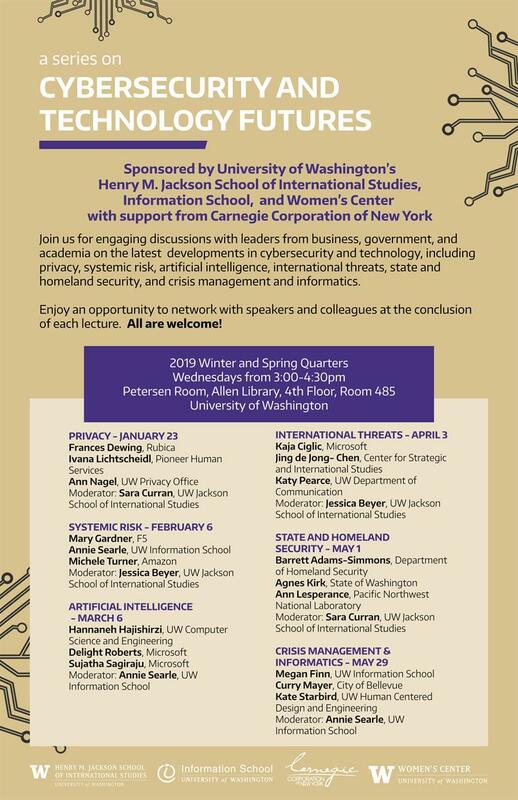 This is the fifth event in a series on Cybersecurity and Technology Futures. This event will focus on the issue of State and Homeland Security. Future events will be held in the same location from 3-4:30: Crisis Management and Informatics (5/29).